BACKTOFRANKBLACK.COM: Millennium Apocalypse Season One to debut at Back to Frank Black! 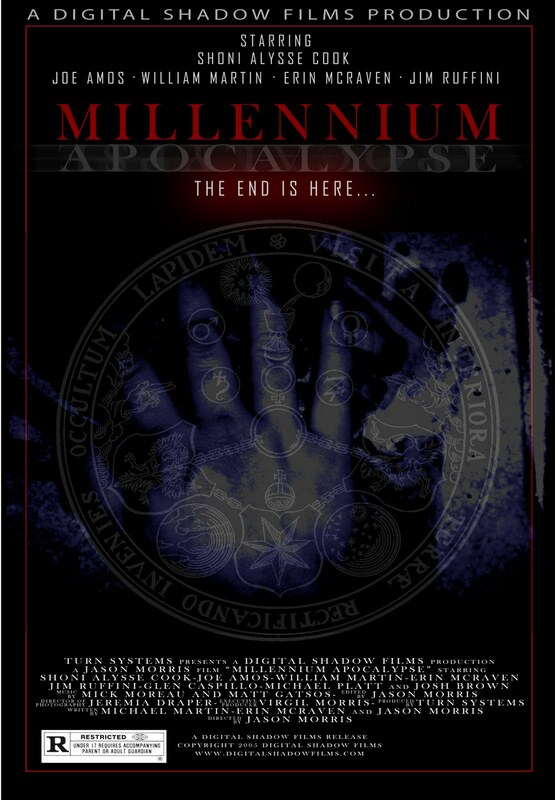 Millennium Apocalypse Season One to debut at Back to Frank Black! There is no limit to the talent that exists in the Millennium fan community. Every day we here at Back to Frank Black meet and chat with people from all over the world! We are truly amazed at the talent these fine folks often offer to share with their fellow Millennium fans. Well, we now bring you something that takes fan art to a whole new level. Jason Morris is an independent filmmaker from California. He is also a huge Millennium fan and, back in 2004, he wanted to show his appreciation for the show. So what did Jason do? He only gathered a bunch of his friends, wrote scripts and came up with the very first Millennium themed web seriesm entitled Millennium Apocalypse! 13 episodes were produced for the first season and we are proud to announce that we will be showing the entire run here at Back to Frank Black! We start with the first episode, entitled "The Beginning". Here we get the chance to first see Jordan, played by Shoni Alysse Cook, grown up and struggling to deal with her ability. I am sure you will find this series as enjoyable as all of us at Back to Frank Black did. The first episode will debut April 29th at 8pm EST. So, let's spread the word and get as many people in front of their laptops and monitors to watch this series! We must give a big THANK YOU to Jason Morris for allowing us to share his vision with all of you. As a special bonus, Jason and Shoni are recording new footage to be added to the original episodes. Sort of introduction/commentary clips to make sure we are all up to speed. And as if that isn't enough, we will be giving away several signed copies of the DVD and the soundtrack. The soundtrack will be a special limited edition that will contain 2 additional tracks not on the original soundtrack release! So please make sure you stay tuned to Back to Frank Black, watch all 13 episodes and please leave feedback for Jason, Shoni and the rest of the cast and crew from Millennium Apocalypse! 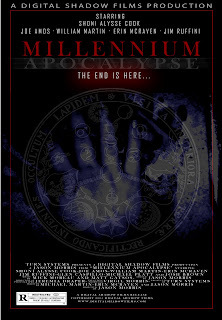 1 Response to "Millennium Apocalypse Season One to debut at Back to Frank Black!" Can't wait for the show!! !